We spent the afternoon behind the scenes with our favorite kombucha brewers, Fine Feathers! Jay & Jodine are another husband & wife team that inspire us. 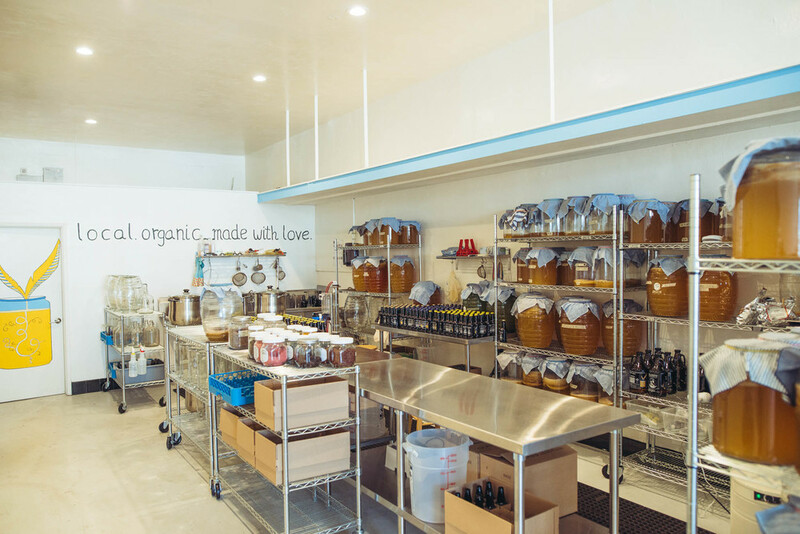 If you're in the Los Angeles / Orange County area, pick up a bottle of their kombucha from a local shop, or their store! If you would like to see more of our lifestyle / commercial work, visit us here. When Isaiah met Taylor, being a barefoot bus-driver was one of the things he fell for about her. After many adventures later, we are sad to be parting with our bus. Although we’re not sentimental about material items, this bus deserves a tribute for all it’s character. So, we prepped our cameras, grabbed our tripod, and reinacted our beginning days of us with the bus. This evening consisted of hanging out in Long Beach, skating & eating Hole Mole. P.S. Interested in buying this bus? Contact us.